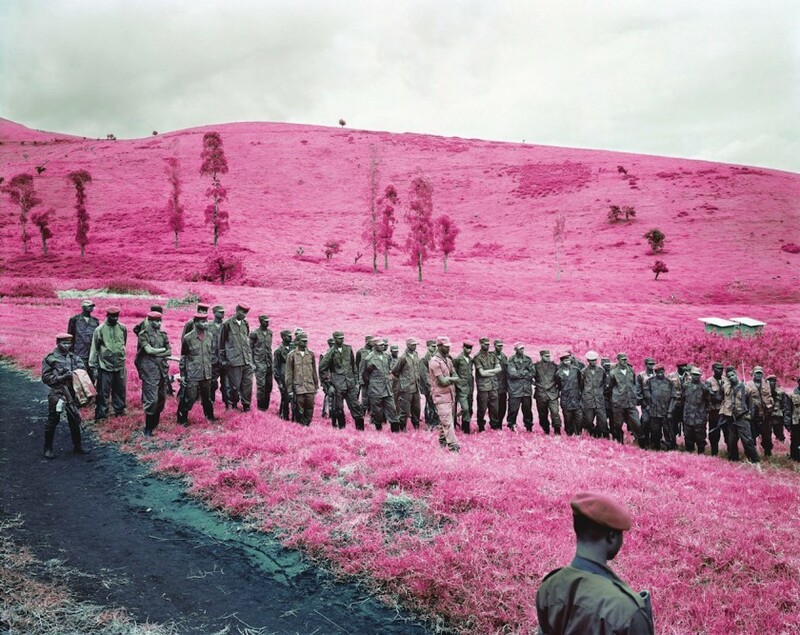 In 2011 and 2013, Richard Mosse travelled to Eastern Congo to document the hidden. 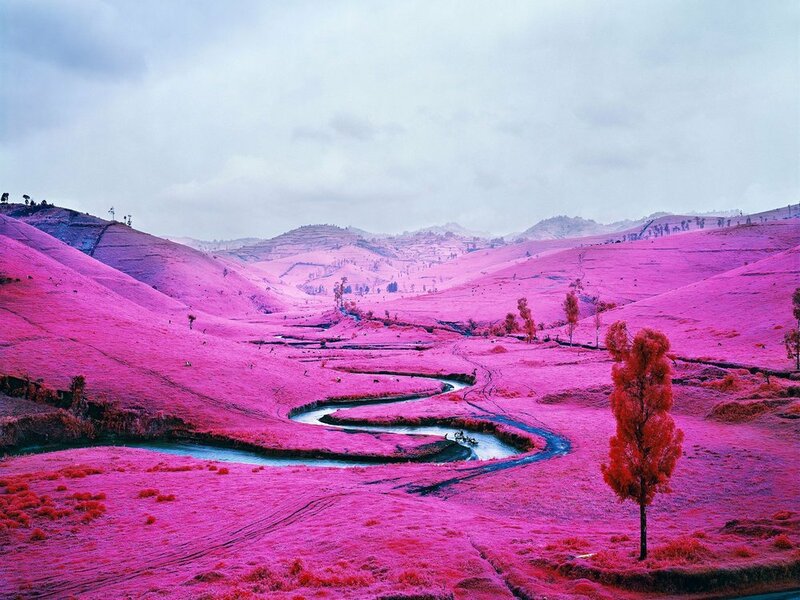 He used a discontinued false colour infrared film, Kodak Aerochrome, which was originally developed for military surveillance. 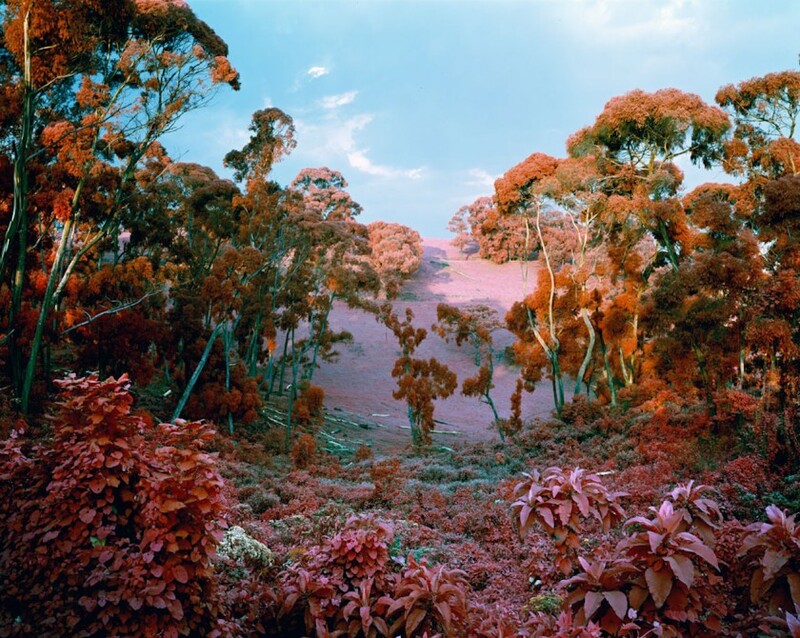 This film registers the infrared spectrum of light, which is invisible to the naked eye but reflects off chlorophyll in vegetation. 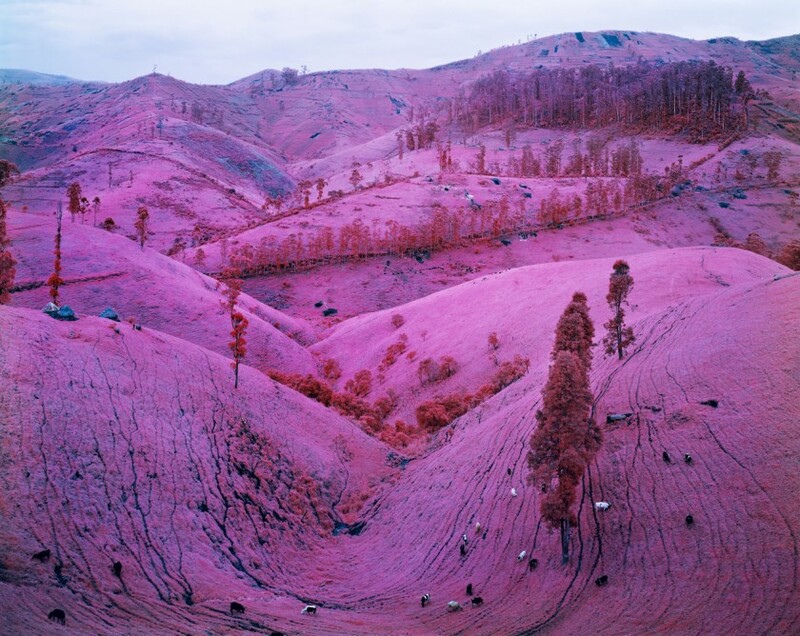 As the earth and other contours (like human camouflage) absorb infrared instead of reflecting it, this film has the potential to make the invisible visible. 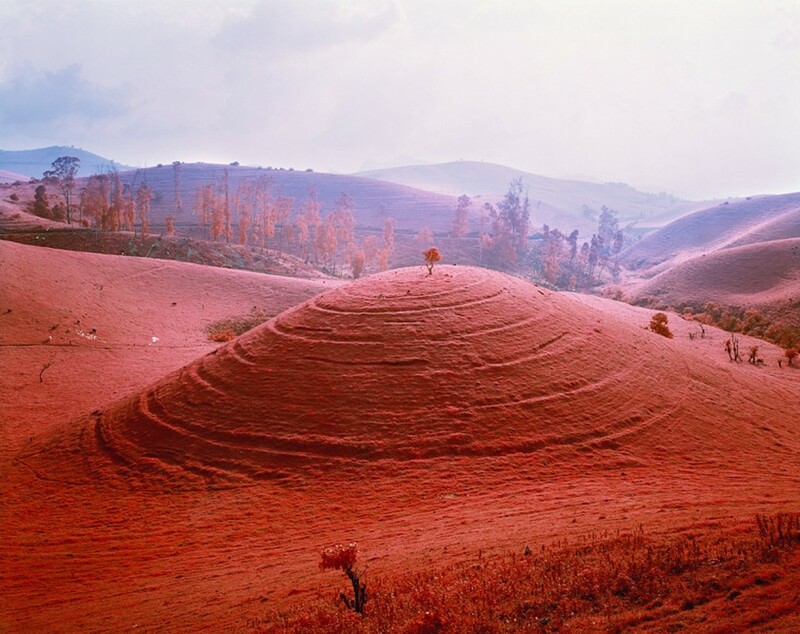 Aerochrome film produces a unique colour palette, turning the Congolese rainforest into a beautiful and surreal landscape of electric pinks and reds. 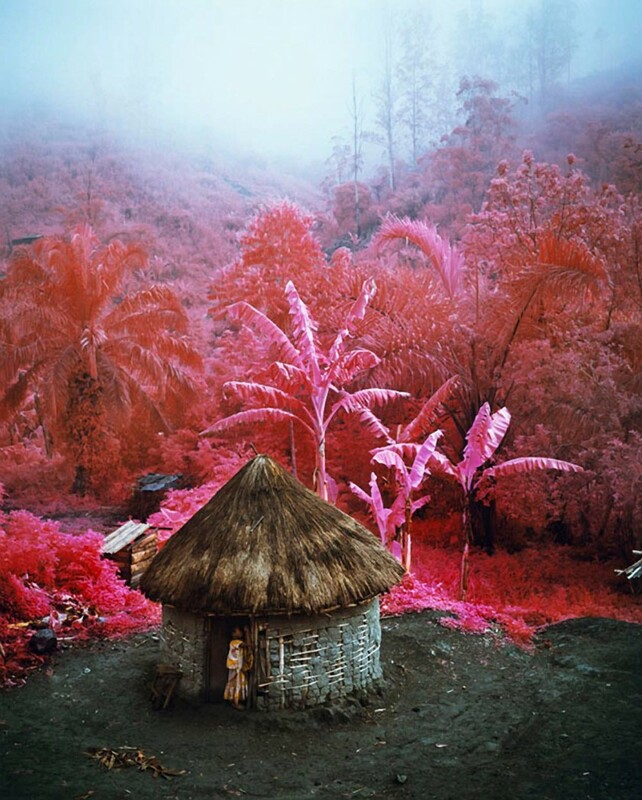 This shocking, slightly nauseous pink confuses, seduces, offends and urges thoughts about perception. 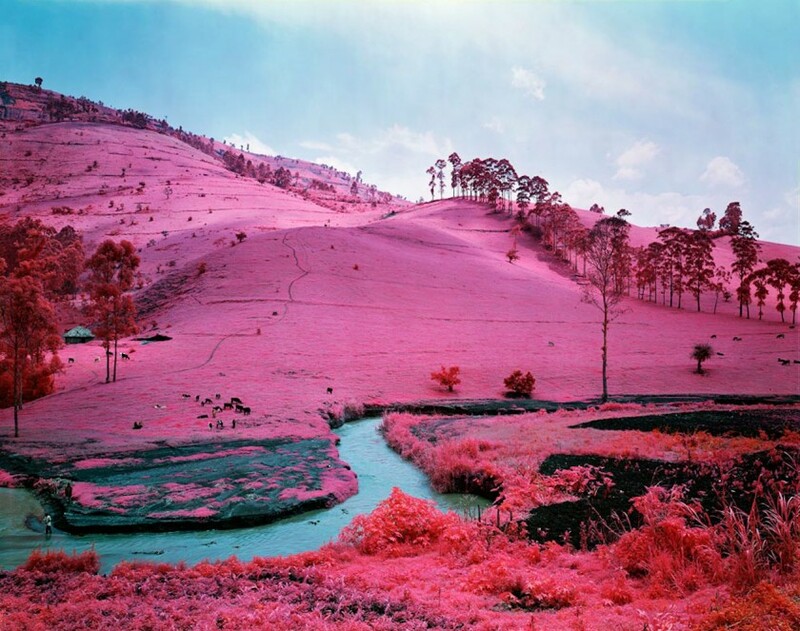 How much more constructed is a pink photograph than a black-and-white photograph? 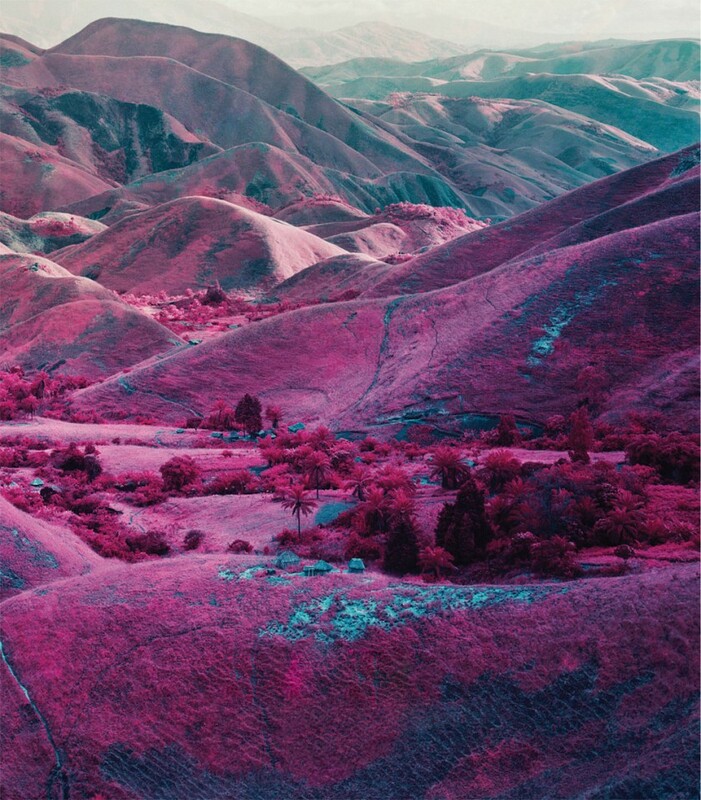 Perhaps the otherworldly colours make the familiar seem strange and the real seem almost absurd. 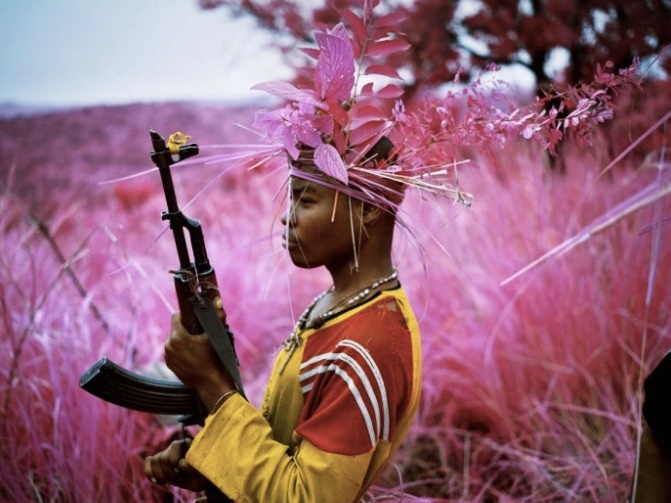 But the unseeable is as real as what we perceive as reality. 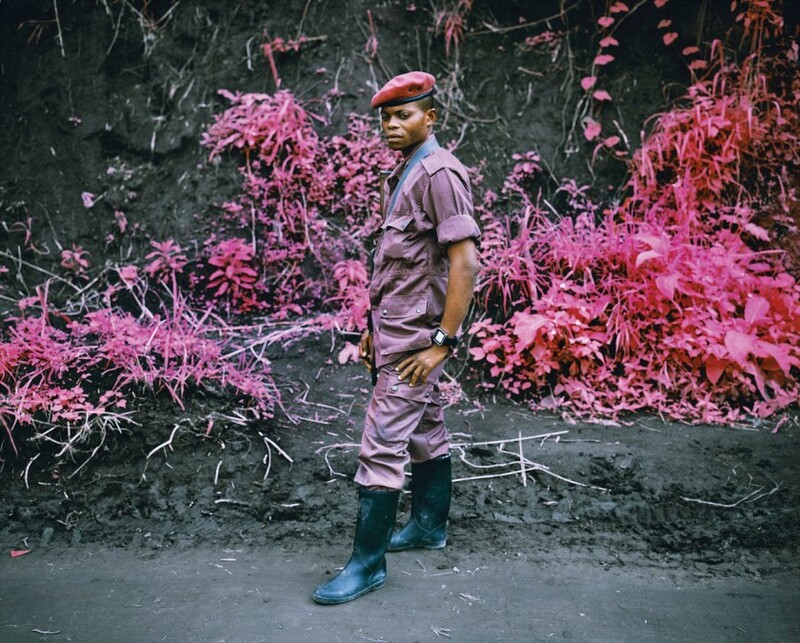 The unseen, the hidden, the invisible, these are all integral aspects of Congo’s war and ongoing conflict. 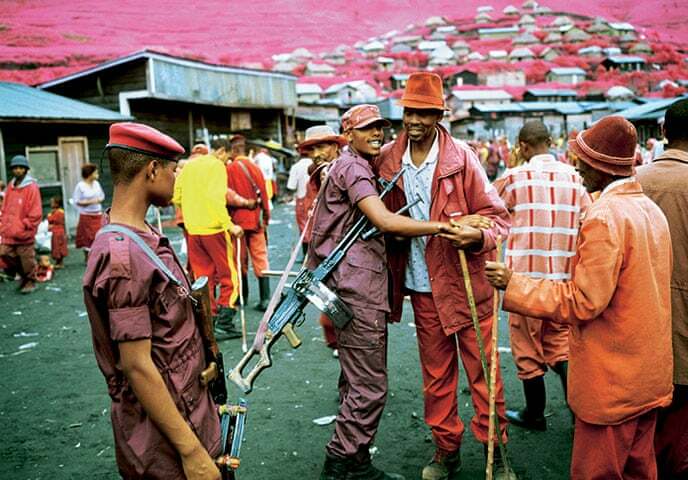 Yet sadly, they are very real.